I love a good sushi spot! 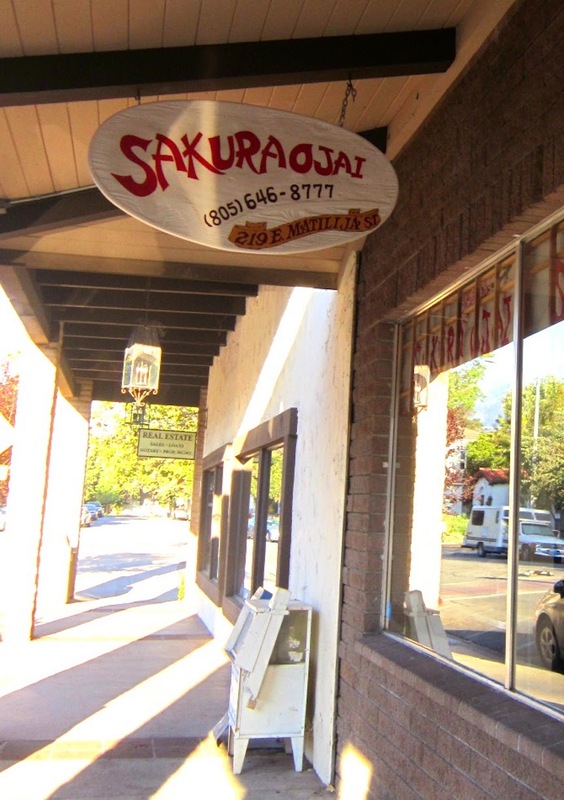 I had heard months ago that Sakura was opening up a second location and it would conveniently be located downtown. It is just steps from Rainbow Bridge and Wells Fargo, how handy is that?! Scott and I decided to head into town last Sunday evening for an early dinner. When we walked in we could not help but notice is is a small space but that it was also quite warm inside. Withe the Teppan Yaki table it warmed the room quite a bit. Almost a little uncomfortable. We snagged a tall top and settled in. 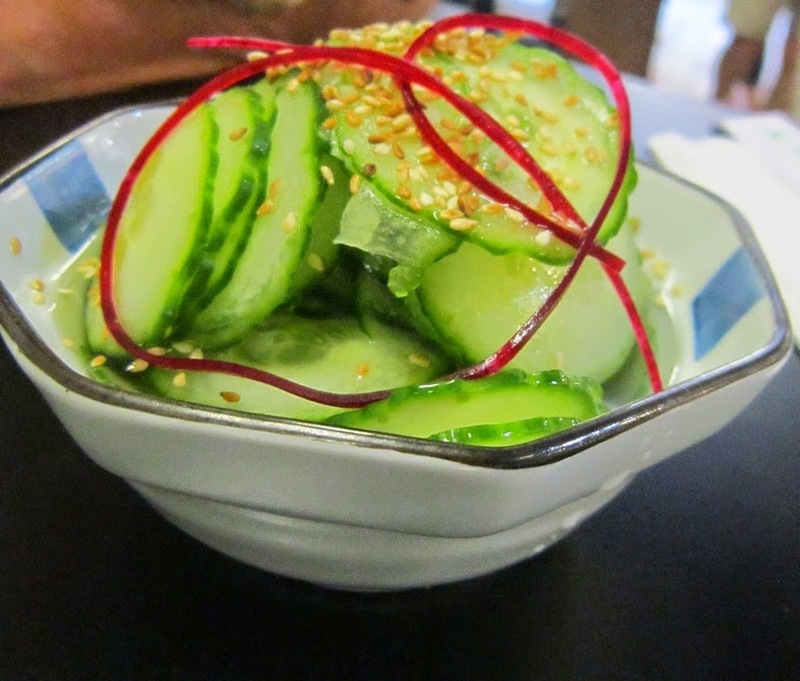 Scott started his meal off with a Cucumber Salad just like he always does at sushi. it was not very tasty. The cucumbers were not marinated with any flavor at all. The vinaigrette did not add much to the dish. My starter of Tempura Vegetables were lovely. I love the squash and onion the most. So tasty with the dipping sauce. I even like dunking my sushi in the warm sauce as well. First up the "Wild Thing" complete with crab and avocado inside and baked salmon on top. This was was very good. I just love a baked roll. They are so tasty. I don't even know why I try and order anything other kind. I forgot the name of this roll! I do remember the contents though... I never forget food. Inside was spicy crba, tempura shrimp and cucumber and on top was BBQ eel and tuna. It was just ok. It was one of the higher end rolls and it did not deliver on high end flavor. I liked the baked options much better. I think I measure big flavor by big calories! All the good things are bad for you! Was Downtown Sakura the bomb? Well, not really. I do enjoy another downtown dining option though. Living in a small town we like variety and this just brings one more option to the map!